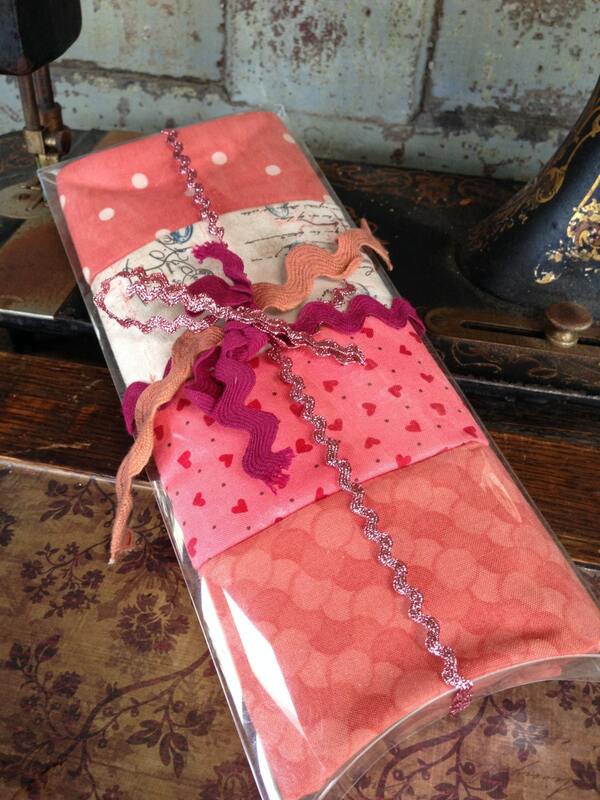 A collection of 4 sweet pink Valentines Day theme printed fabrics all wrapped together that make up this beautiful fat quarter pillow pack. There are trims wrapped around it to seal the pack. The whole piece measures roughly 10" wide and 4" thick. 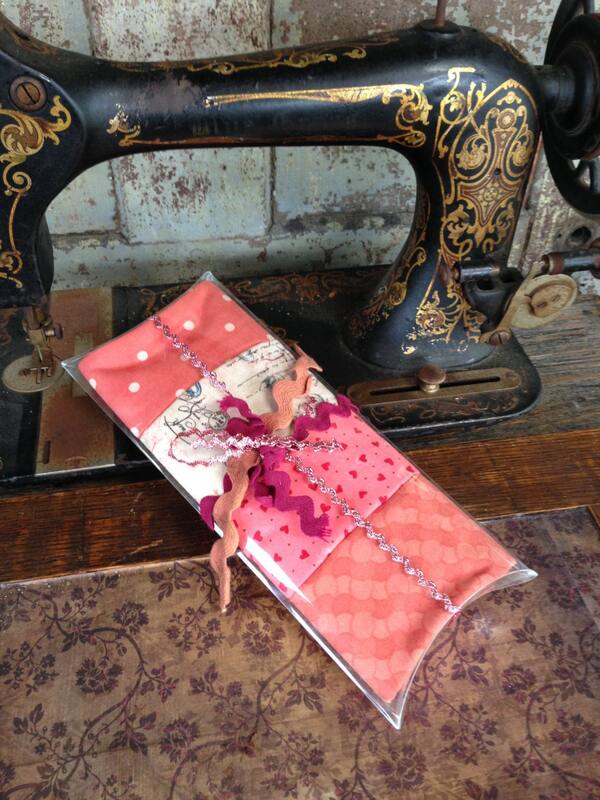 This would make a lovely present for any quilter in the family or a friend who sews!